All my critical errands and tasks are done with 5 days left! Hurray! Today was Jimmy's 1st day off for the holidays so we ran 1 errand together. 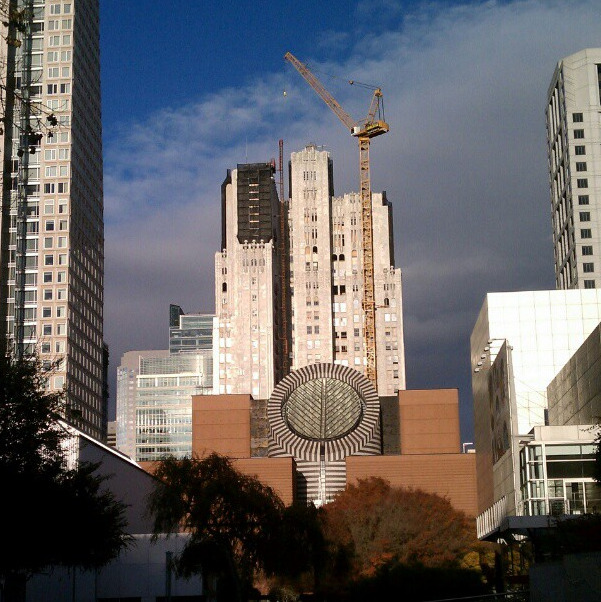 The sun broke through the wintery sky and shined on SFMOMA and the Pacific Telephone Building. YAY for the sun...on the first day of vacation!